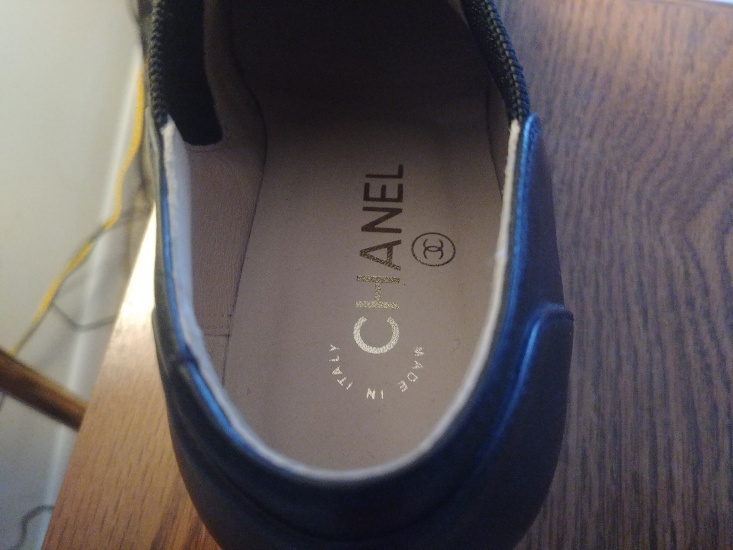 100% genuine CHANEL, G30045 pre. 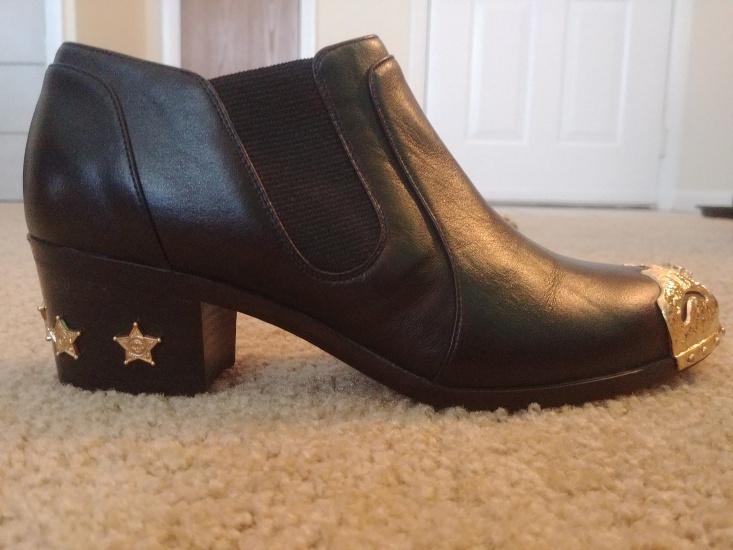 fall 2014 Paris - Dallas, ankle boot$. 38EU, 7.5-8 US, 5.5 UK. Never worn (size mix up). No faults. 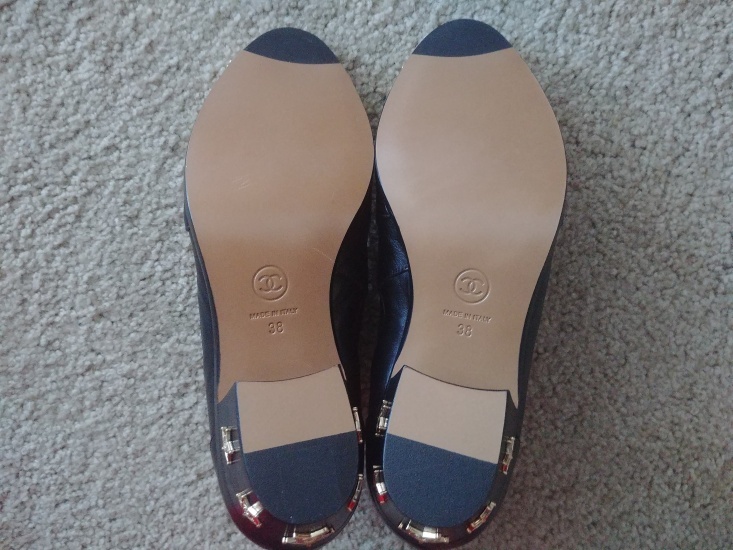 Beautiful gold design on toes very tastefully displaying the iconic crosses C's. 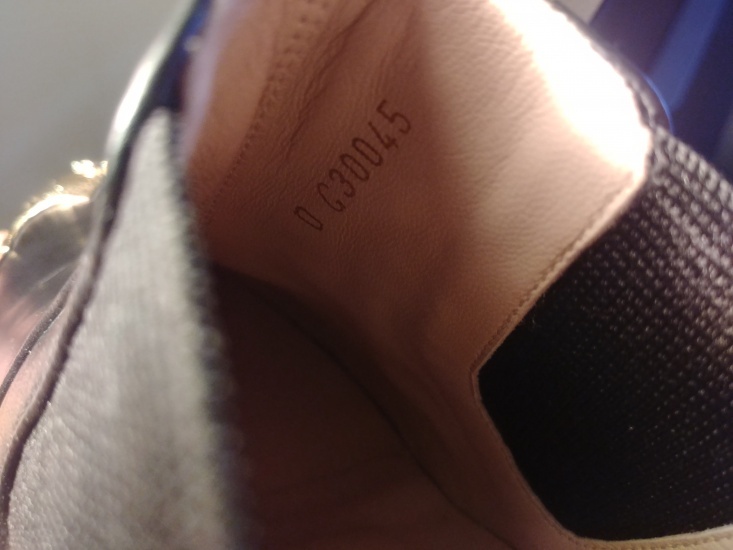 These are also features on the five stars surrounding each heel. 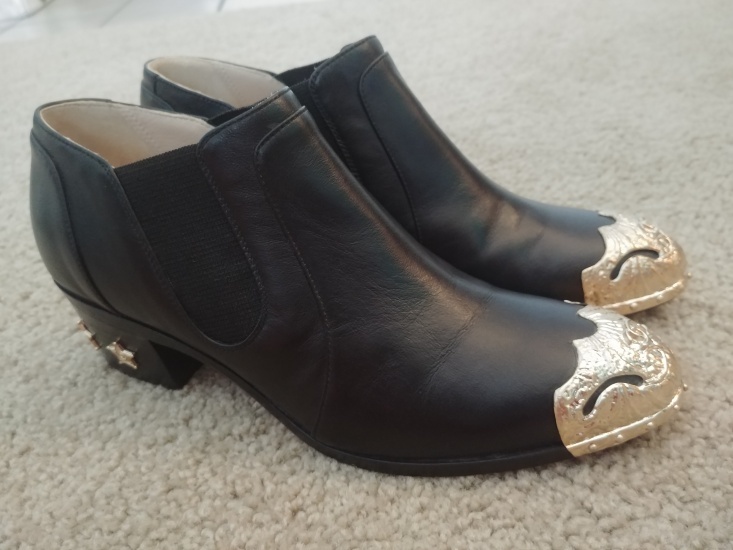 These shoes are gorgeous in black calfskin, but the decorative gold embellishments add a burst that calls attention to the eye without overwhelming the pristine pattern. Made in Italy size 38/7.5/5.5 EU/US/UK. I wish I had looked before buying UK size instead of US, because these look and feel luxurious. From the sodt leather ldining, to the strong heel support, to the strechability, they appear to be as comfortable as they are gorgeous. 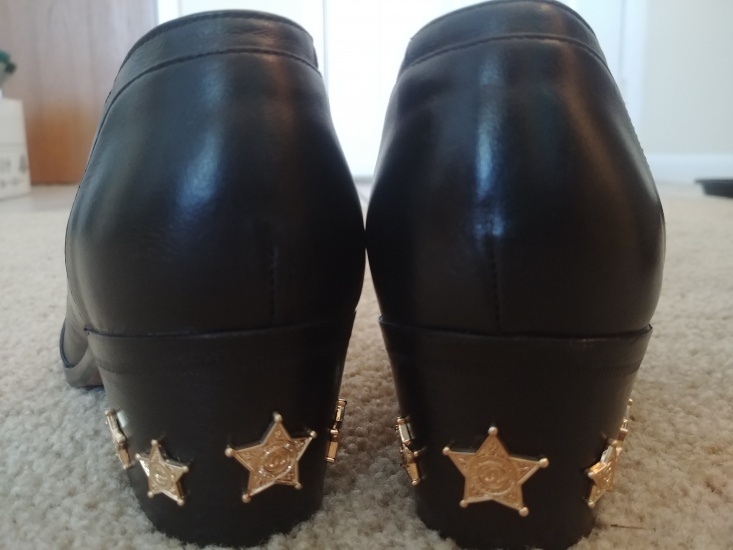 These can easily be worn in a formal setting or a more casual night, and believe, no one will have anything like as fine as these shoes anywhere you wander.